CATEYE ONMI 3 LED LUCE BICI POSTERIORE & 500 LUMEN bikehut USB Light 8 modalità. Manufacturer Brightside Bike Lights. 68 grams 7cm long. ASIN B01LZ2M7MK. Features & details. NEW for 2018. Super quick 2 hour charging with a USB cable which provides more convenient & better charging performance for your light. Built-In Reflector. Tools & Repair Kits. Ultra bright red LED. 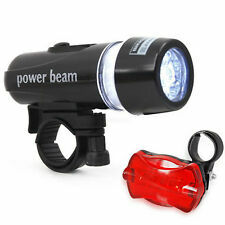 Battery operated light requires two AAA batteries not included Cateye LED Rear Bike Light. Condition is Used. Dispatched with Royal Mail 2nd Class. Aero design. - Giant design o-ring mounting. - Mini USB reachargable. 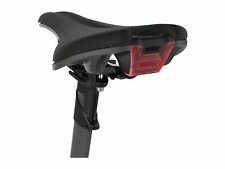 LUCE bici LED LE Set, anteriore e posteriore bici batterie incluse, 3 modalità,. LE LED Bike Light Set, Front and Rear Bicycle Light Set, Batteries Included, 3 Light Modes, 200lm, Water Resistant, Cycling Headlight and Taillight, Easy Install/Quick Release. Light modes for each light. Direct USB port (without cable). IS TRULY WHAT YOUR'E GOING TO GET. Features & details. Manufacturer reference 1-LED-21R-V204_Noir. VINTAGE EVER READY FRONT & REAR BIKE CYCLE LAMP LIGHT SET. Good Condition. These lights are untested due to not having batteries to fit it. Collection welcome from my CycleShop Rick’s Cycles OX29 9TJ 01993 700005. MULTI TONE SIREN HORN, INDICATORS AND A REAR BRAKE LIGHT ALL IN ONE. SIREN WITH BUILT IN INDICATOR SWITCH FITS ON TO STANDARD 22.2mm HANDLEBARS. EIGHT DIFFERENT TONES FOR HORN AND INDICATOR. 2 BRAKE LED LIGHT WHEN REAR BRAKE OPERATED. Selle Royal Cateye Auto Posteriore Bici Bicicletta Luce. Supplied with a universal mounting system, belt clip and saddle rail bracket. CNC Aluminium heat sink casing. Tools & Repair Kits. Auto safe mode. Drive Shafts. Quick release universal bracket RB-22 (fits all round bars and AERO style bars). Enhanced MOR (Maximum Optical Reflection) lens with built-in side visibility. Compact, durable and heat-dissipating CNC machined aluminium construction. Available individually or in front / rear pair combinations. Nuova inserzioneCOB STRIP LIGHT LUCE BICI posteriore USB ricaricabile 6 modalità comprese strobo. SOUBITEZ Catalux 6 feu rouge arrière avec catadioptre. SOUBITEZ Catalux 6 red rear light with reflector. Pour velo des années 50/60. REAR LIGHT RUBY. - High brightness, low power consumption andlong service life. - Designed for safety bike riding at night. - Material: plastic and silicone. 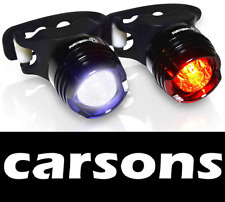 - Can be installed at the front and rear of yourbike to act as a front light or rear light. Silva CITY Posteriore Luce Bici, Nero/rosso. adattabile a qualsiasi tipo di moto! 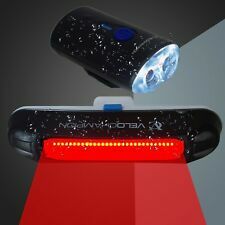 Make your bike seen in the dark with SILVA City rear light. The City rear is a perfect partner to either one of our SILVA bike lights. It attaches easily with a rubber strap so you can mount and dismount it quickly. Circuitry 100mA. 1 x bracket. REAR 2 LED. Color BIN Red. Bike Sizing. Includes 18mm seat stay bracket. Weight: 52g. Includes 31.8mm bracket. Water resistant. ACCESSORIES / LIGHTING / REAR LIGHT BATTERY > XLC. XLC Comp LED Rear Neso CL-R15. Ref: P13,5 NF-LINSE. 2 AAA batteries. bracket Ø 25 - 32mm. • with battery indicator. • 1 Lux • 2 LEDs (0,5 Watt, 0,12Watt). Rear light BIKE BALLS for saddle rail mount. ACCESSORIES / LIGHTING / REAR LIGHT BATTERY > Bike Balls. - gently squeeze Bike Balls to turn the light on and switch between the solid/flashing modes. As cyclists who regularly ride in the city, we are vulnerable to distracted and neglectful drivers. 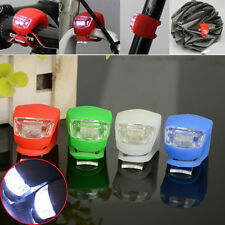 COB STRIP LIGHT REAR BIKE LIGHT USB RECHARGEABLE 6 MODES INCLUDING STROBE. LEZYNE FEMTO REAR BIKE LIGHT WITH 5 MODES & INCLUDING BATTERIES. 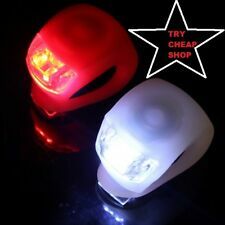 CATEYE OMNI 5 LED REAR BIKE LIGHT WITH QUICK RELEASE 2 FLASHING MODES + BATTS.